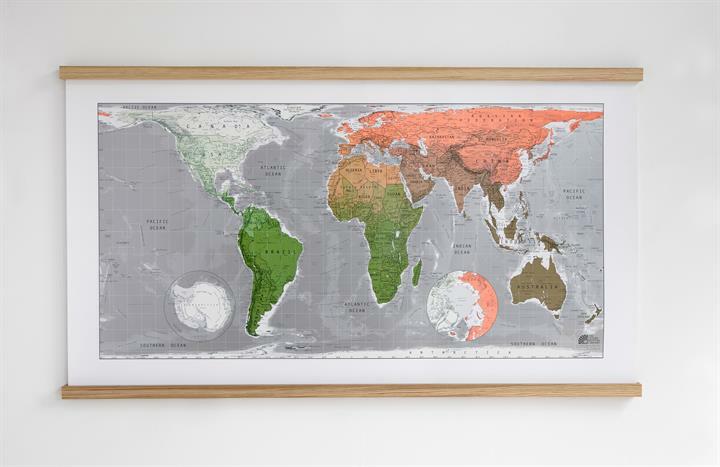 Our very first map is now seen as a design classic. 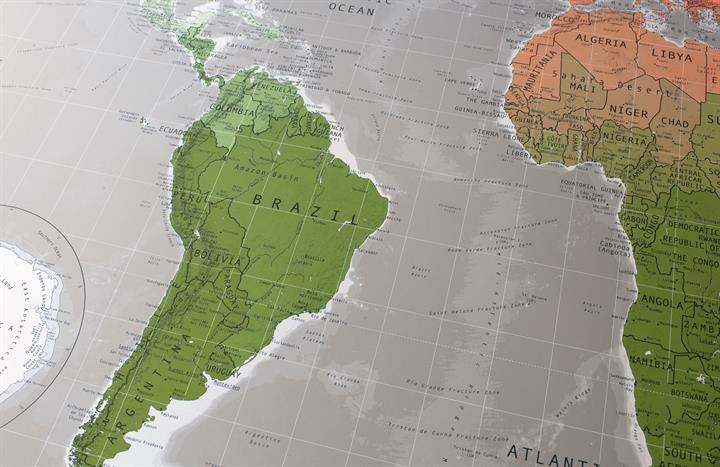 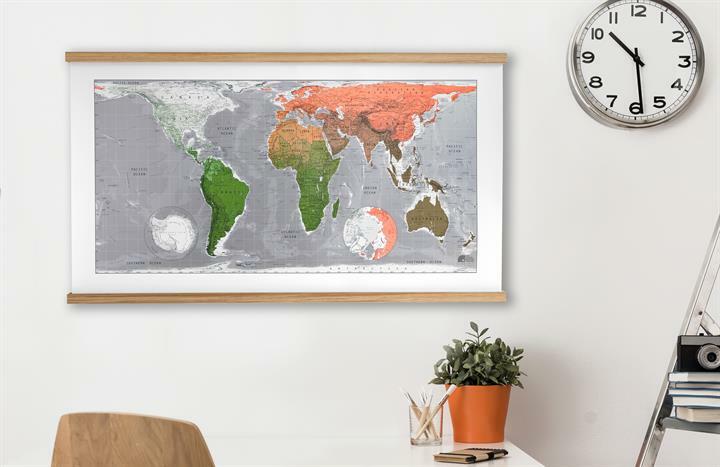 The equal-area projection shows the countries in their correct proportions to one another. 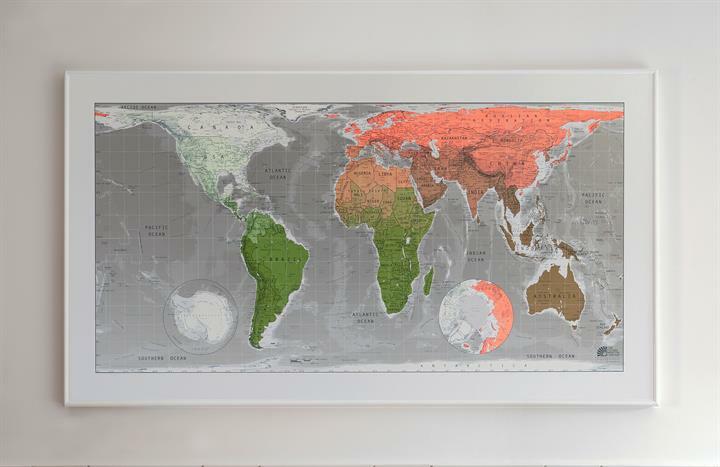 We think that this alternative and thought provoking vision of the world is not just beautiful but important. 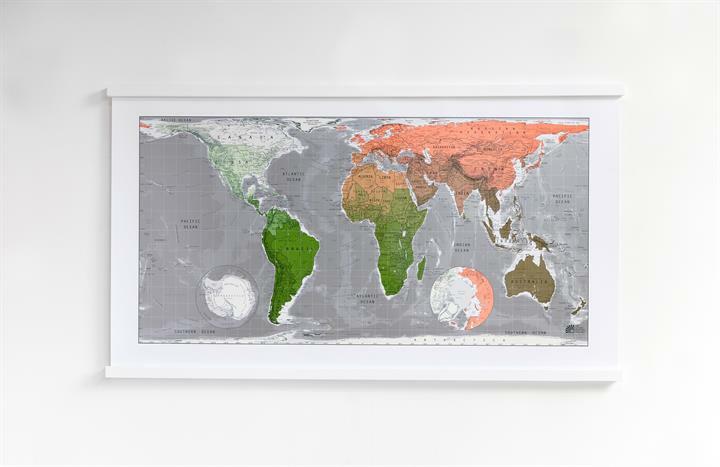 Sea depth layers, North and South Pole projections as well as all the usual mountain ranges, rivers, city populations, also make this map an ideal point of reference. 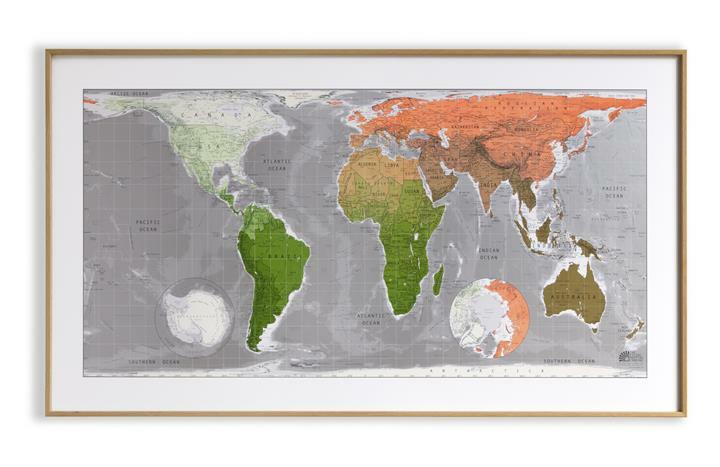 We didn't stop there, we took our interest in this lesser known vision of the world and combined it with our drive to create a map of unparalleled style. 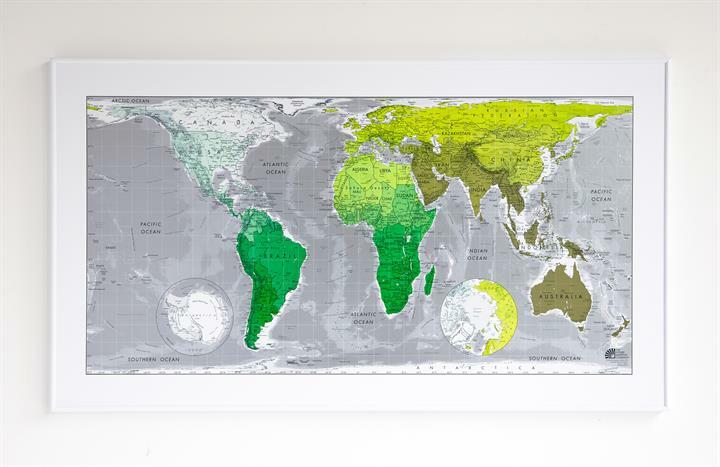 We use printing techniques that allow us to create sublime colours and mesmerising metallics which are impossible to recreate with digital print. 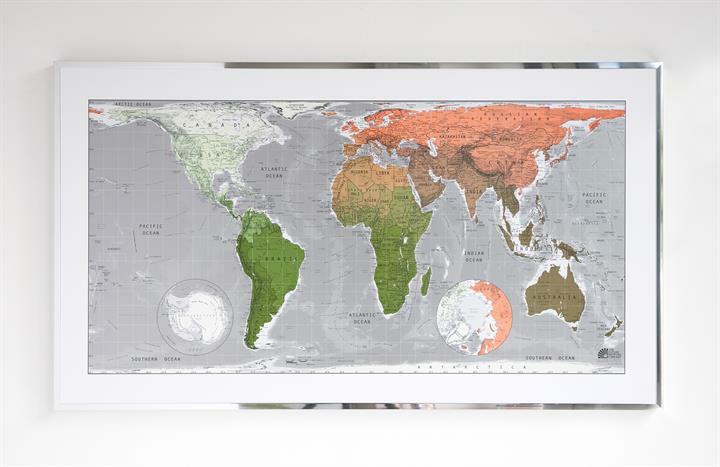 The result is the Future Map, which will change the way you look at the world forever. 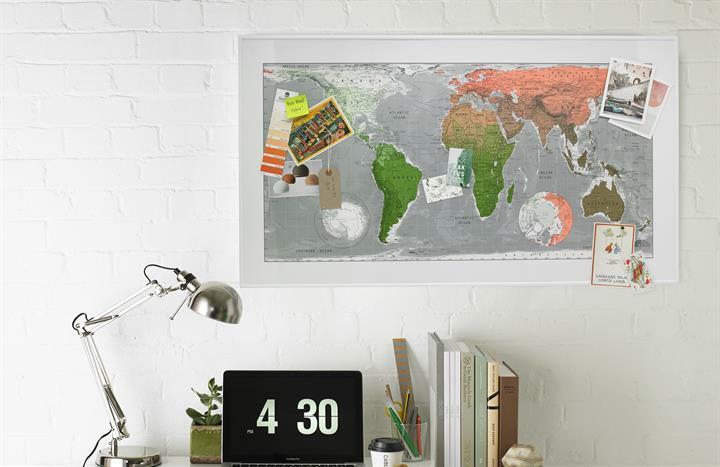 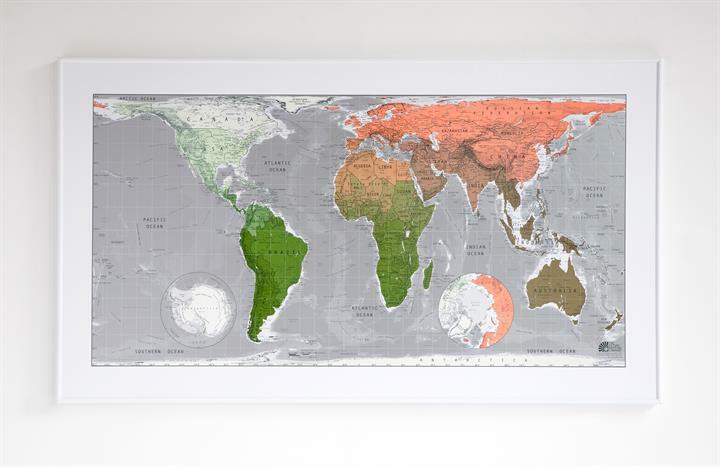 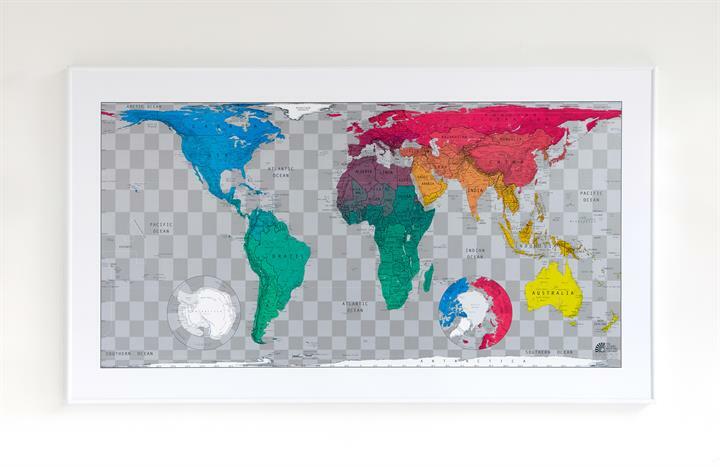 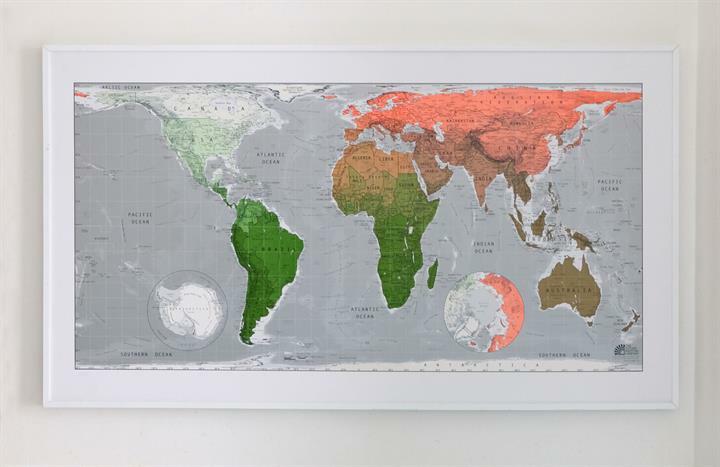 We are not exaggerating, we hope this map will mean the world to your wall. 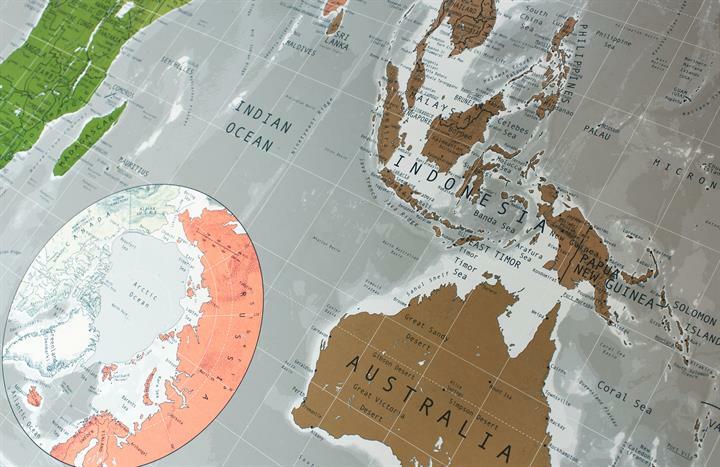 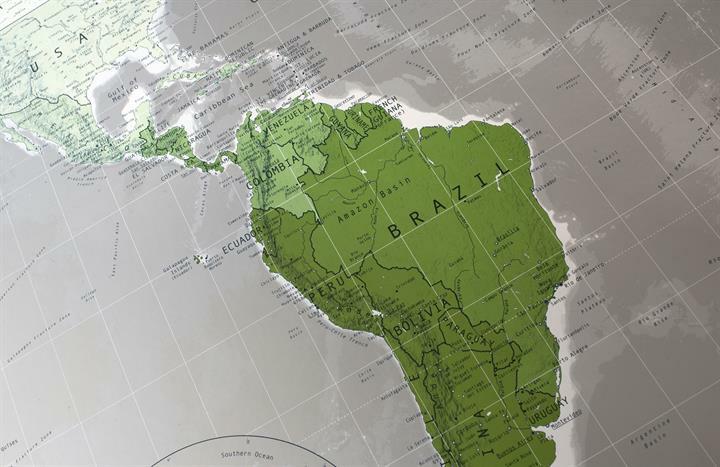 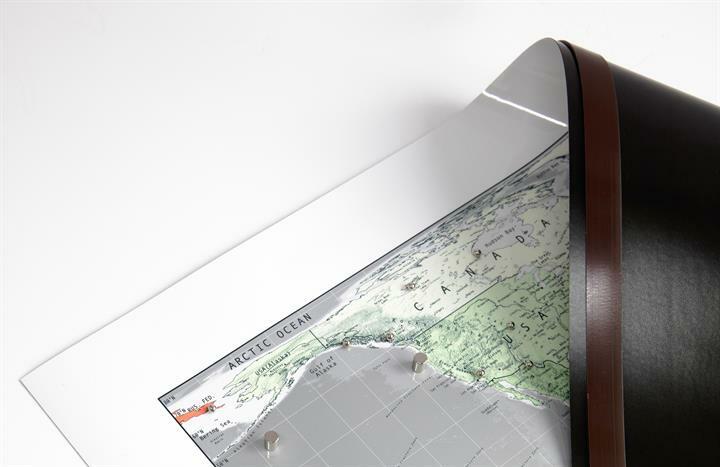 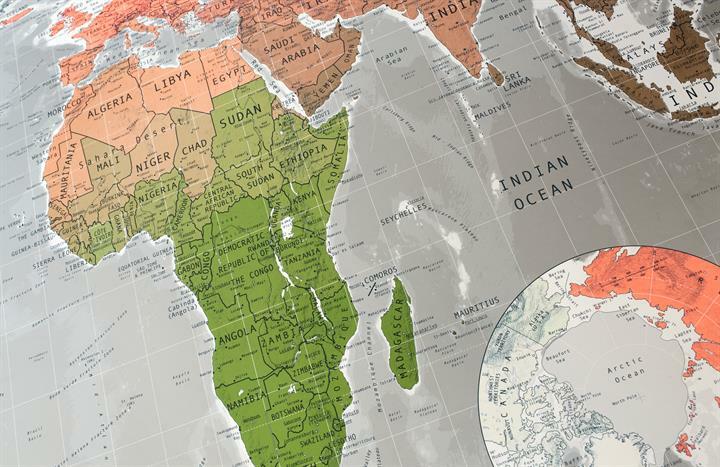 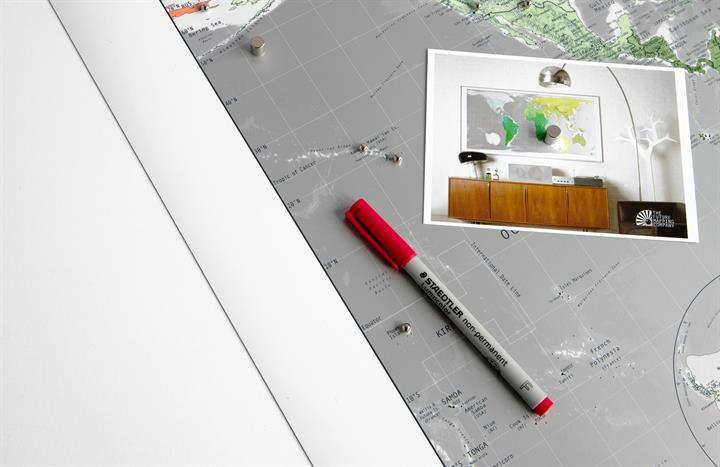 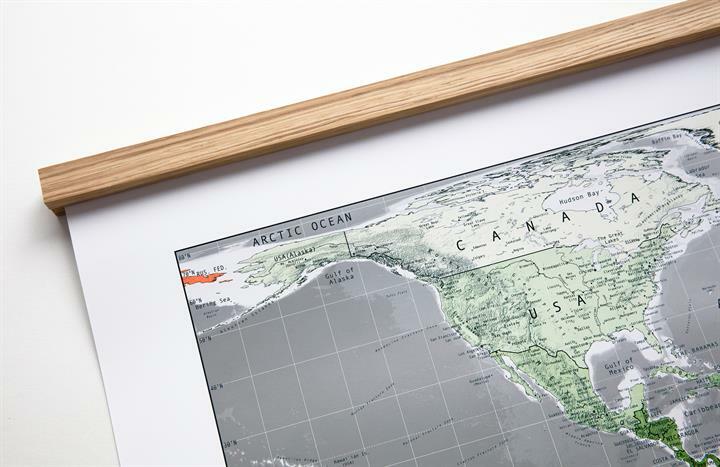 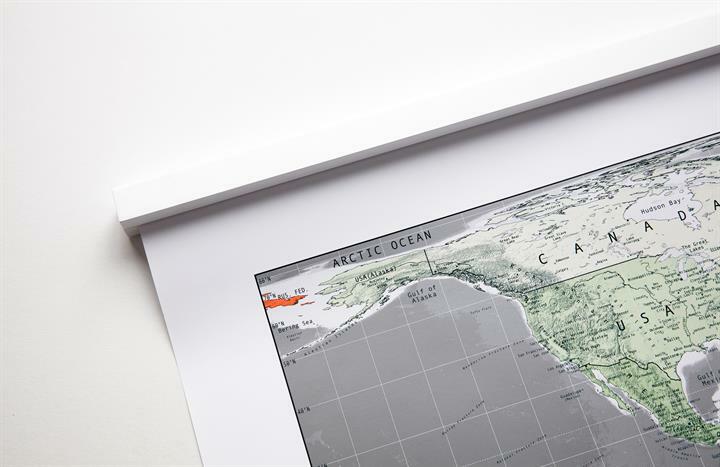 We print our maps on to the highest quality FSC approved silk-coated paper using a lithographic printing process. 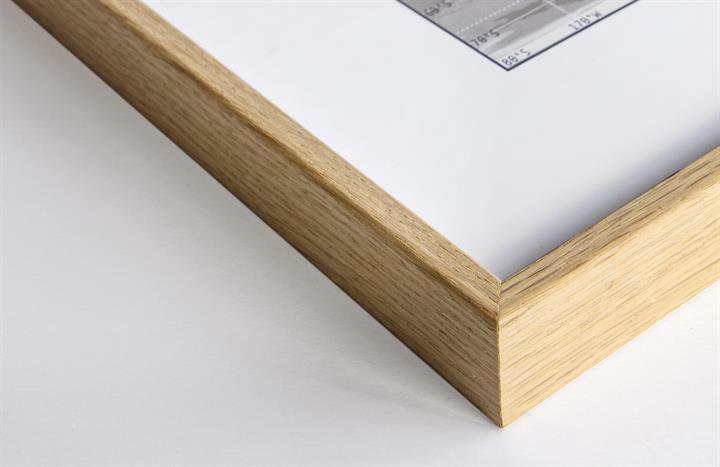 This works like a mechanised version of traditional screen-printing. 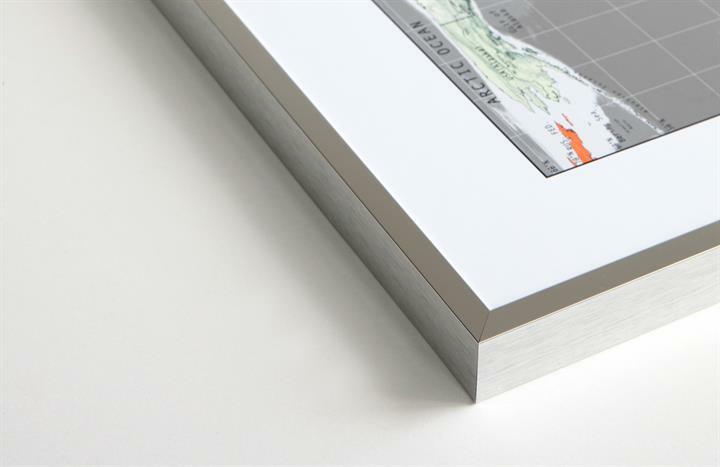 A plate is made for each colour and then laid down individually, offering a stunning, quality print, with great definition and colour impact. 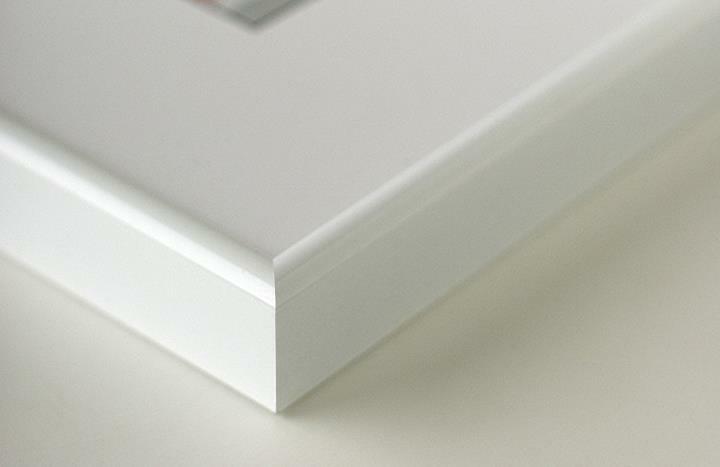 A sealer is applied to protect the inks and gloss UV varnish used to add contrast and highlight boundaries.